There are so many reasons to go to the Caribbean. Go there for the sun. Go there for the amazing beaches and hospitality. But if you’re the type who loves stunning vistas and glorious landscapes, then this list is for you! 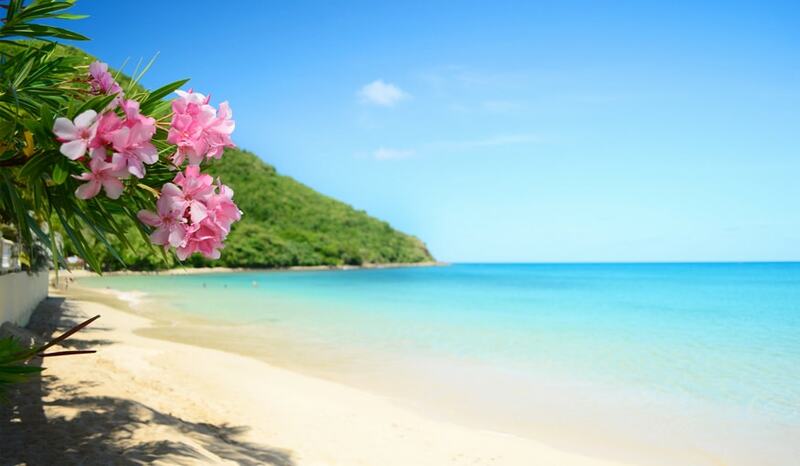 We’ve asked our Travel Experts to pick their top 5 most beautiful Caribbean destinations. If “beautiful beach” sits atop your must-have list, stop right here. Turks and Caicos is home to several stunners in the beach category. In fact, they can even boast that they have “the Best Beach in the World” as chosen by TripAdvisor’s Travellers’ Choice awards. Grace Bay Beach is lauded for its soft white sand, and water so turquoise you feel like you need to pinch yourself. Yes, it’s real life, not Instagram! Find Grace Bay Beach on Providenciales, aka Provo, an island in Turks and Caicos home to popular resorts like Beaches Turks and Caicos. Dominica, not to be confused with Dominican Republic, is a small and relatively unknown island between Guadeloupe and Martinique. Travellers seeking an adventure off the beaten path should consider a trip, or at least a visit, to this gorgeous cruise port. 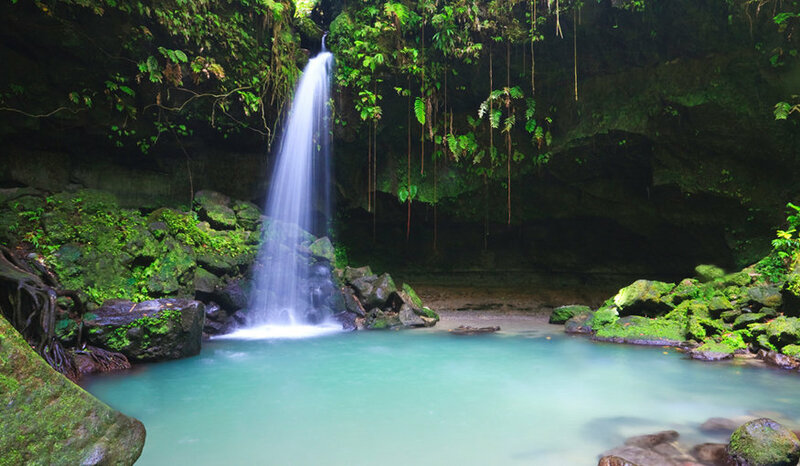 Dominica calls itself “the Nature Island” thanks to the tropical rainforests that cover two thirds of the island. A highlight is the Morne Trois Pitons National Park, a World Heritage Site home to volcanoes, geysers, and Boiling Lake – the second hottest lake in the world! We recommend taking a dip in the sparkling Caribbean sea instead. What do you get when you combine picturesque Dutch architecture with amazing Caribbean landscape? 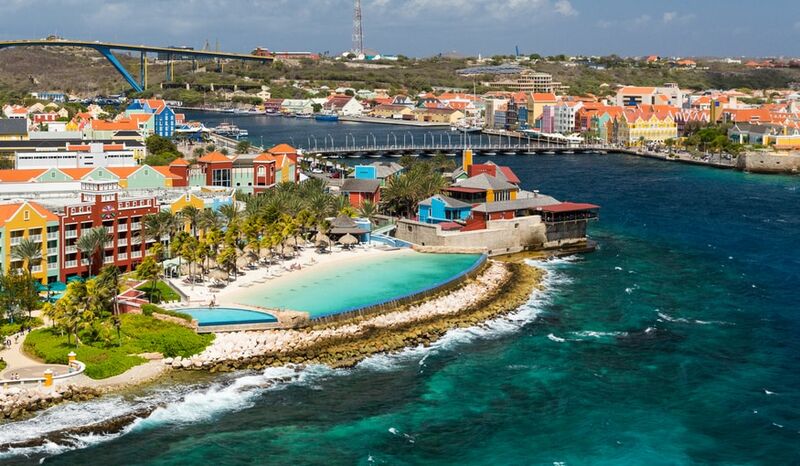 You get Curacao, one of the handful of islands in the Caribbean under the Kingdom of the Netherlands! We like Curacao not only for its breathtaking beaches and true blue waters, but also for its capital Willemstad. Unique pastel buildings similar to those you’d find lining the canals of Amsterdam sit shoulder to shoulder in this quaint seaport, combining natural and manmade beauty. Unlike many others on this list, the three Cayman Islands sit isolated in the west end of the Caribbean sea, almost equidistant from favourites Cuba, Mexico, and Jamaica. The most travelled of the three islands is Grand Cayman, a mecca for marvelous beaches, happening nightlife, and fantastic snorkeling too! Seven Mile Beach is another beach you’ll often find appearing on “Top 10 Beaches” lists, and once you experience it, you’ll know why. A bonus feature for this beach is that it’s fully public, so you can stroll the entire length of the beach, day in and day out! 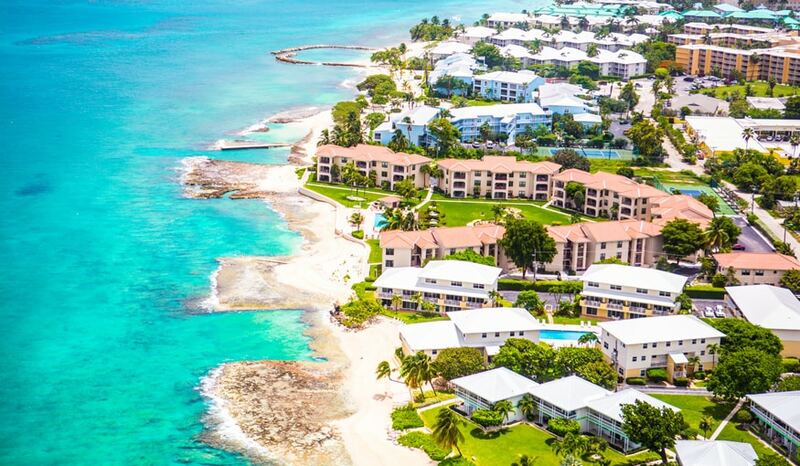 Hop over to the Cayman Brac island for the exact opposite – wondrous bluffs towering 140 feet over the deep blue sea. 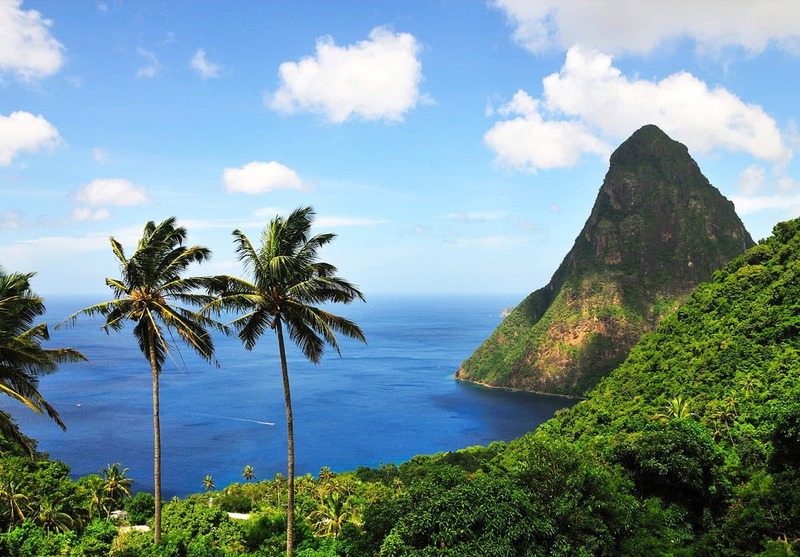 Rounding out our top 5 list is Saint Lucia, the little island loved by so many. 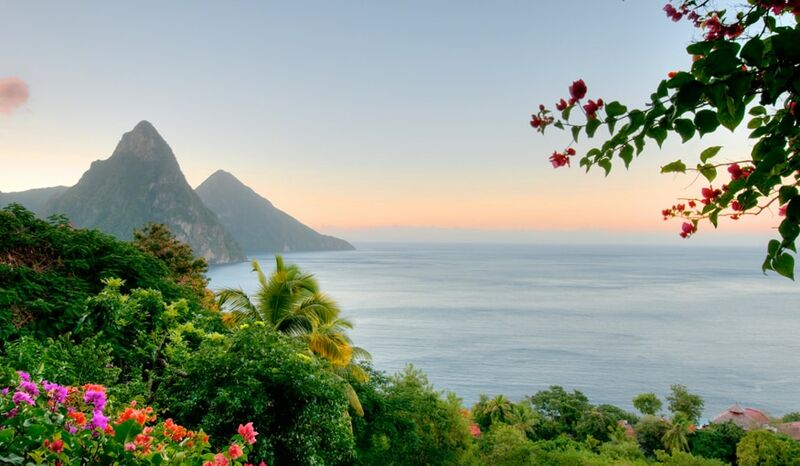 Popular amongst honeymooners and adventure travellers, Saint Lucia is great for those who want to find comfort in nature. Among the highlights are national parks, canopy ziplining adventures, botanical gardens, and the Pitons, the two iconic peaks standing guard over the town of Soufrière. Can’t you just picture yourself on horseback, the wind running through your hair as you breathe the crisp tropical air and take in the beauty that surrounds you? Time to get that camera out and start your trip! Travel Experts a call today!